All medicines can have side effects, but most are mild and go away after a while. Some side effects are more severe, such as allergic reactions. Sometimes, side effects can happen or be worse because of an interaction between the medicine and other medicines, or food or alcohol. People react differently to medicines. If you think a medicine is making you feel unwell, it's important that you talk to a health professional about what to do. If you've developed symptoms of tongue swelling, lip or facial swelling and difficulty breathing, this could be an allergic reaction called anaphylaxis and you should call 111. When starting a new medicine, read the label and any accompanying consumer safety information. 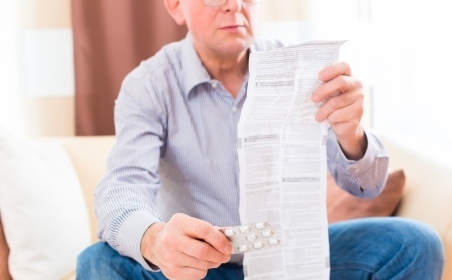 For most medicines, you can also read a locally written and approved medication factsheet. Make sure that you're using the medicine correctly and know of any signs to watch out for or precautions to take. If you're not sure about anything, contact your pharmacy or another health professional before starting the medicine. Remember, over-the-counter medicines and supplements can also cause side effects and reactions. Reporting suspected side effects of medicines can improve medicine safety for everyone. Both health professionals and the general public can do this. This online form lets you report side effects to medicines and supplements. Make sure all health professionals treating you know which medicines don’t suit you. Keep a list or apply for a medical alert bracelet or pendant. Search online for medical bracelets NZ to find medical bracelet suppliers.